If you live in Europe and run a business that requires reliable uptime (a large eCommerce website, a high traffic and highly active information board website, or multiple business websites for example) and you need almost unlimited or simply unlimited bandwidth, you probably need to consider getting a dedicated server that’s located near you. 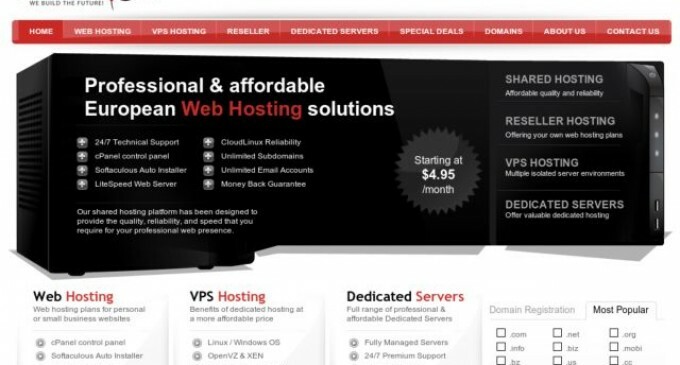 AltusHost offers a wide range of dedicated server products. Prices reflect the quality of technology and amount of power each package offers in their dedicated server options, so making sure you pick the best option for your unique business is crucial. Where you’re located in Europe will also somewhat determine the kinds of dedicated server packages are available to you, but most areas will have the entire product line to choose from. Here are several AltusHost products to consider, starting from the lowest priced dedicated server package, to their most expensive (and largest) package. All of AltusHost’s packages use Intel processors in all of their dedicated servers. The smallest, most basic package (the AMS-1) uses an Intel Dual Core E2200. It includes 2GB of memory, and a 320 GB SATAII hard drive. This package will cost you $49.95 to set up and $139.95 monthly. The bandwidth isn’t unlimited with this basic package- offering 5000 GB of bandwidth per month. Up a little further in AltusHost’s dedicated server packages typically means a better processor and more hard drive space, like their SBS-3 package. SBS-3 features an Intel Xeon E3-1240 processor and two 500 GB SATA II hard drives. There are also 12 GB of storage and has the same set up fee as the first package. The bandwidth stays the same as the basic package too, and costs $249.95 a month. To get unlimited bandwidth, you have to look to AltusHosts’s HE-1 package. HE-1, along with unmetered bandwidth also includes two Intel Quad Core E5620 processors, 24 GB of memory, and two 1TB SATAII hard drives. The set price to get this package stays the same as the rest of the packages ($49.95) and will cost a monthly $419.95. To order AltusHost’s HE-1 package that offers unmetered bandwidth, simply select it from their menu of High-End Series dedicated servers by clicking the “Order Now” button below the synopsis of specs which will bring you to the order page. Next, fill in the options in the “Configure Server” area, choosing a hostname, prefixes, and root passwords. You can then move on to your configurable options right below the configure server area. You can choose up to 4 IP addresses, and with an extra $2.00/month you can add on more IP addresses from there. Once you’ve finished filling out the form, click “continue” and you’ll be taken to an order conformation page. Then you can choose to continue shopping, or check out! AltusHost offers great products for European business owners looking for all kinds of dedicated server packages that suit all business needs. Choosing the right dedicated server that also offers growth and technological freedom is important for a lot of businesses who are expecting or experiencing rapid growth. AltusHost’s HE-1 package offers this kind of room and flexibility, and may be just what your European based business needs in dedicated server web hosting.